Communities the world over are creating a replacement, leave-things-better economy from the ground up: Restoring the land, sharing water, making homes, growing food, designing clothes, journeying, and caring for each other. Growth, in this emerging new economy, means soils, biodiversity and watersheds getting healthier, and communities more resilient. Its core values are stewardship and health, in place of extraction and decay. Taken together, this multitude of small actions demonstrate the power of small actions to transform the bigger picture – especially in the ways projects are connecting together as social and ecological systems: food commons, social farming, fibersheds, cycle commerce, or care cooperatives. But a question arises: is a green hacking approach enough, in its own, to grow a new kind of social infrastructure for the next economy? Or is a more designed approach also needed to develop the systems for local money, mutual aid, platforms for sharing, and Commoning? John Thackara is a writer and event producer who has spent a lifetime searching for live examples of what a sustainable future can be like. He writes about these stories at his blog, Doors of Perception, and organizes festivals that bring the project leaders he has met together. John Thackara’s previous books include the best-selling In the Bubble: Designing in a Complex World. 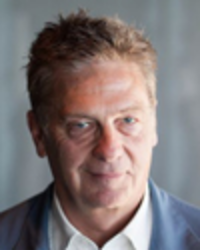 Along the way, John has been a magazine editor; a publisher; Director of Research at the Royal College of Art, where he is now a Senior Fellow; and Director of the Netherlands Design Institute. He has curated two national biennials – Designs Of The Time in the UK, and City Eco Lab in France – and nine Doors of Perception conferences in Amsterdam, and India; the Economic Times of India praised these events for their “brilliant insights into the internet and sustainability”. In 2013, John launched a workshop format called Xskool that helps diverse groups develop the design agenda for their bioregion. The explosive growth of social media opened up exiting new possibilities for the analysis of cultural trends. Today, thousands of researchers have already published papers analyzing massive cultural datasets including user-generated posts and photos, online video, web site design, fashion photography, popular music, and so on. In my lecture I will show and discuss a number of projects created in our lab (softwarestudies.com) that analyze cultural trends using Instagram. They include comparison of 2.3 million Instagram images from 13 global cities (phototrails.net), interactive installation exploring Broadway street in NYC using 40 million data points and images (on-broadway.nyc), and our work in progress – analysis of 265 million images shared on Twitter worldwide during 2011-2014. I will discuss how we combine methods from data science, media art, and design, and how the use of big cultural data helps us question our existing assumptions about culture. 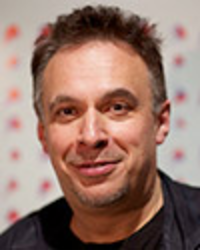 Dr. Lev Manovich is the author of seven books including Software Takes Command (Bloomsbury Academic, 2013), Soft Cinema: Navigating the Database (The MIT Press, 2005), and The Language of New Media (The MIT Press, 2001) which was described as “the most suggestive and broad ranging media history since Marshall McLuhan.” Manovich is a Professor at The Graduate Center, CUNY, and a Director of the Software Studies Initiative that works on the analysis and visualization of big visual cultural data. In 2013 he appeared on the List of 25 People Shaping the Future of Design. In 2014 he was included in the list of 50 “most interesting people building the future” (The Verge).